Remove inaccessible tiles from the map. Cosmetic and layout changes to Shrine of Ixalovh (scorn/temples/ixalovh) in Scorn. Enlarged the map to include area surrounding the shrine, added some windows. Updated world map (world/world_105_115) for map entrance coordinate changes. Word spacing update in message text to Test of Ruggilli (scorn/temples/ruggilli2) in Scorn. Punctuation update in message text to Gorokh Final (scorn/temples/gorokh_final) in Scorn. Spelling correction (belltower -> bell tower) to Church of Valriel, Bell Tower (scorn/temples/valriel3) in Scorn. Record players who reach the top of Gorokh's church. Record players who reach the top of Valriel's church. Punctuation updates in item message text to Variel Final (scorn/temples/valriel_final) in Scorn. Removed forced line breaks in message text to Church of Valriel, Balcony (scorn/temples/valriel2) in Scorn. Removed forced line breaks and punctuation correction in message text to Ordeals of Valkyrie (scorn/temples/valkyrie2) in Scorn. Technical change to Ordeals of Valkyrie (scorn/temples/valkyrie2) in Scorn. Reformat map header information. No functional changes. Removed forced line breaks in message text to Temple to Sorig, Level 2 (scorn/temples/sorig2) in Scorn. Spell correction (rath -> Wrath) in message text to Temple to Ruggilli (scorn/temples/ruggilli1) in Scorn. Removed forced line breaks and punctuation corrections in message text to Temple to Ruggilli (scorn/temples/ruggilli1) in Scorn. Removed forced line breaks and capitalization correction in message text to Temple of Mostrai (scorn/temples/mostrai) in Scorn. Removed forced line breaks, sentence structure and punctuation updates in message text to Gorokh Final (scorn/temples/gorokh_final) in Scorn. Punctuation updates in message text to Valriel's Treasure (scorn/temples/valriel_treasure) in Scorn. Removed forced line breaks in message text to Church of Valriel, Belltower (scorn/temples/valriel3) in Scorn. Removed forced line breaks in message text to Chapel of Valkyrie (scorn/temples/valkyrie) in Scorn. Removed forced line breaks and punctuation corrections in message text to Test of Ruggilli (scorn/temples/ruggilli2) in Scorn. Grammar and punctuation correction in message text to Temple to Temple of Mostrai, Underground (scorn/temples/mostrai2) in Scorn. Removed forced line break and punctuation correction in message text to Temple to Lythander (scorn/temples/lythander) in Scorn. 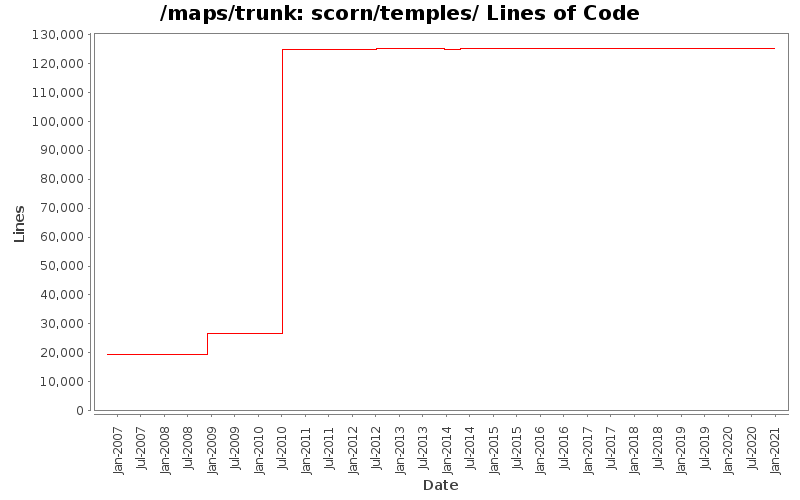 Removed forced line breaks in message text to Church of Gorokh (scorn/temples/gorokh) in Scorn. Spelling corrections (alkyrie -> valkyrie, Belhold -> Behold) to Chapel of Valkyrie in Scorn. Correct pluralization to various monster parts in the Chapel of Valkyrie in Scorn. Updated the map header formating to the Chapel of Valkyrie in Scorn. Removed random_movement setting for priest of Devourers so that it no longer wanders all over the map. Cosmetic changes in regards to how fence (swall) graphics merge with nearby hedge and stone wall (stwall) graphics. Fix missing lower Devourers level.